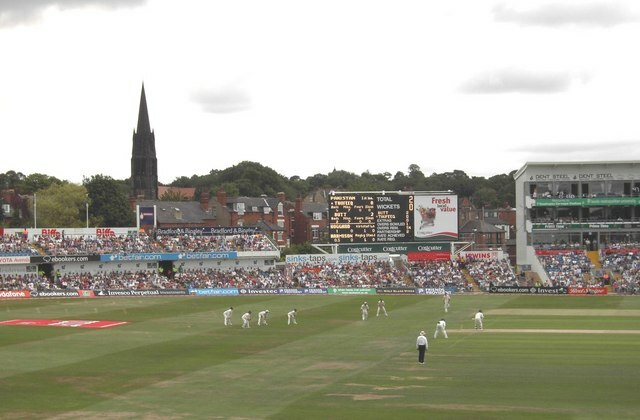 Headingley Cricket Ground during the Pakistan/England test match. St Michael's and All Angels church in the distance. This page has been viewed about 242 times.